Earlier today, news broke of Juelz Santana being arrested for possibly making terrorist threats and refusing to allow law enforcement to search his car. Along with being arrested, Juelz Santana also had to deal with his car being impounded. With bail set at $46,500, Santana was bailed out the same night and he now has a lot to say. Via Twitter, Juelz Santana poked fun at the situation. He asked, sarcastically, how many mug shots the police officers needed of him. 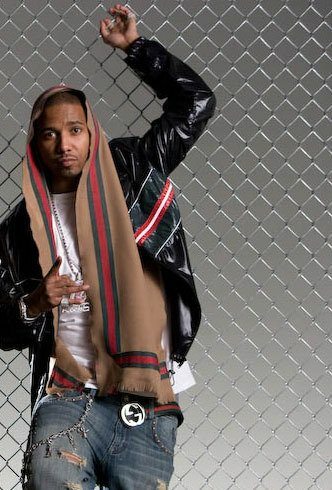 Juelz Santana also poked fun at the bail, which was set at $46,500, which is small change to most rappers. With his car being impounded, Juelz Santana had to use another vehicle. Juelz Santana said he would have to pull the Rolls out since the police impounded his Bentley and he questioned if they felt that was his only car. The Diplomat Records star also said he had to stunt on the police because he knows they are also on Twitter. Speaking on the situation, Santana said the police asked to search his car and he told them no and they arrested him and said the judge would issue a warrant.